Opposite to the beach in Kionia, the temple of Poseidon and Amphitrite stands. 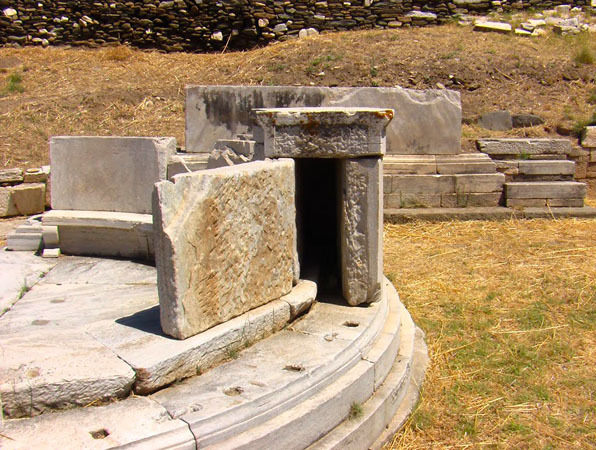 One of the most important sites of worship of the ancient Greeks, which was closely connected with the development of the ancient town of Tinos. 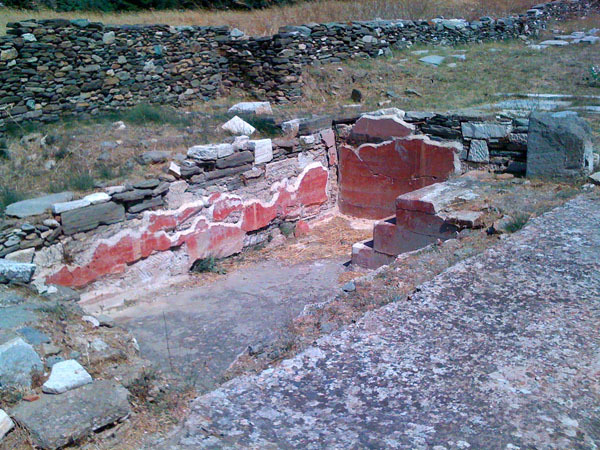 Stravon mentions Kionia, considering the temple “great and worthy of a goddess”. Its reputation reached Italy and Asia Minor. 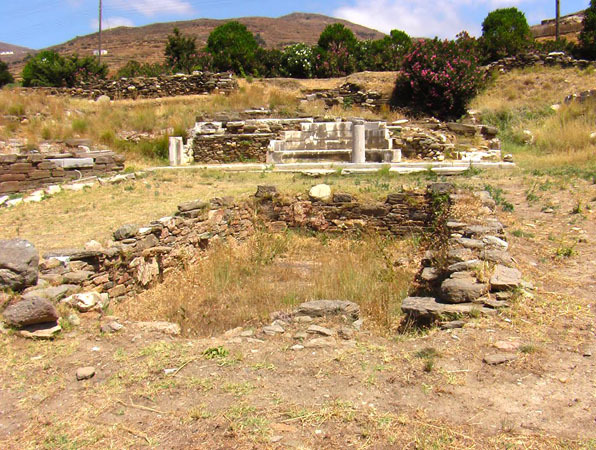 Kings, generals, and simple people came here in order to make sacrifices and purify themselves before they visited the holy island of Dilos. 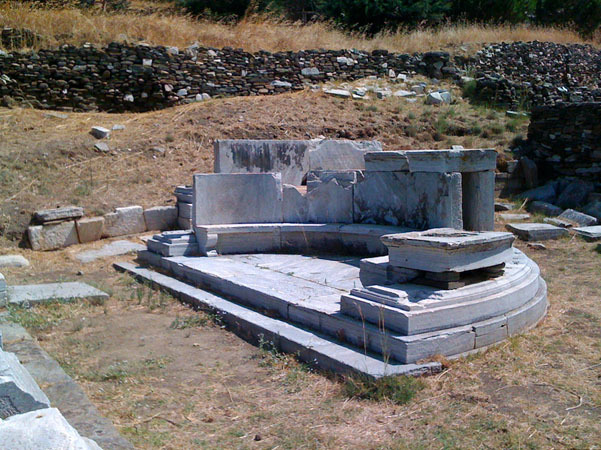 The original temple in the grove was replaced in the middle of the 4th century B.C. by a larger temple in the Doric style, built using local materials and decorated by sculptors from various places. 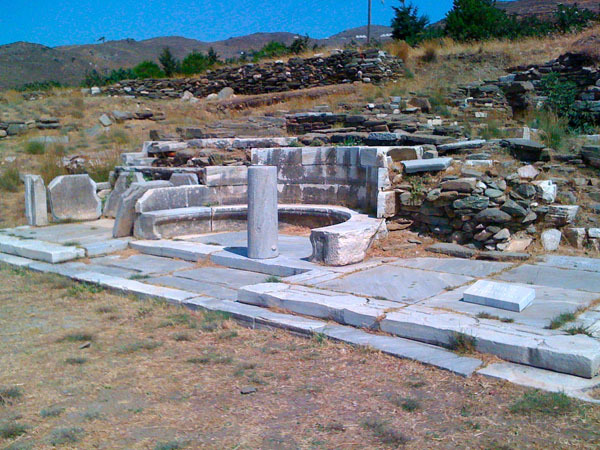 In the 3rd century B.C., the sanctuary was rebuilt and its fame spread. In that period of time, the worship of Amphitrite, wife of Poseidon, established itself; she was worshipped for her ability to heal women who could not bear children. Along with the worship of the god, who was also called Healer, the sanctuary gained great fame as a healing centre. 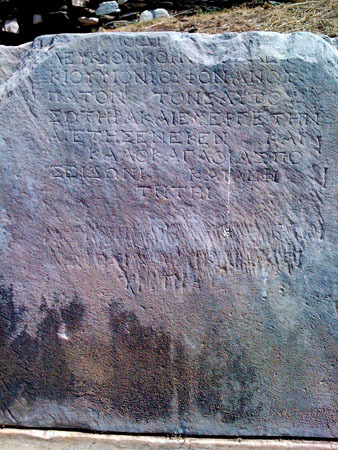 In the months of January and February, the first Poseidonian Games (or “Poseidia”) were organized, with events to honour the god, drama competitions, and sacrifices. At the end of the 2nd century B.C., imposing buildings were built, such as the large gallery and the altar. From the middle of the 1st century B.C., the sanctuary started to decline and it was abandoned in the 3rd century A.D. Later, the Christians destroyed the ancient temple and used its construction materials. Their work was completed by the Venetians and the Turks. Excavations were conducted at this site in the years 1902 and 1905 by the Belgian archaeologists Η. Demoulin and P. Graindor. They brought to light a part of the destroyed sanctuary, the spring, the baths, mosaics, statues, the sundial of Andronikos from Kyristos, etc. Their findings are exhibited in the town’s Archaeological Museum. The site is open between 8:30 a.m. and 3:00 p.m. It is closed on Mondays and on public holidays.